Students must be in good academic standing and have a 3.00 or higher GPA. Preference given to juniors and first semester seniors but sophomores are eligible if space is available. Suggested general preparation options include: Comparative Politics; Intercultural Communications; Language Culture and Society; Introduction to International/ Intercultural Studies; Introduction to Sociocultural Anthropology; Engaging Difference. Students must first apply through Pitzer’s Office of Study Abroad and International Programs. If accepted by Pitzer, students will then be asked to complete the Haifa application. Fall program: Early August to early January. Note: Students will take Intensive Hebrew Ulpan or Intensive Arabic from early August to late August. The actual semester program runs from mid October to early January.Spring program: Late January to early June – Intensive Hebrew Ulpan or Intensive Arabic winter program runs late January to mid February. Semester program runs late February to early June. Pre-semester Intensive Hebrew Ulpan or Intensive Arabic, the minimum full-time course-load during the regular semester, and the Pitzer course MLLC110 Intercultural Learning: Portfolio Writing via Sakai. Students will take either an Intensive Hebrew Ulpan or Intensive Arabic prior to the semester program. Students may choose to continue their language study during the regular semester. The university does not offer support for independent study projects. Students have course options outside the International School. 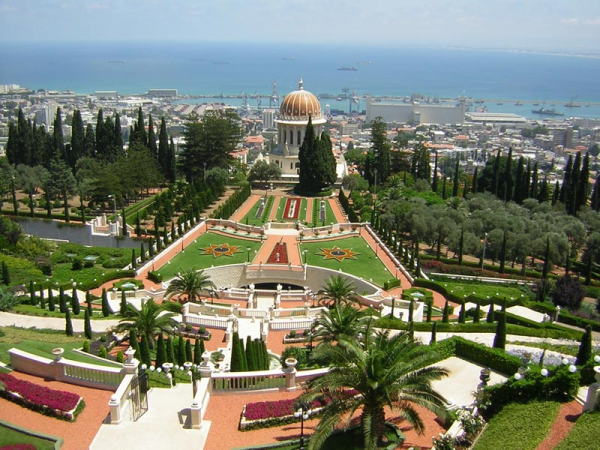 If a student is proficient in Hebrew, he/she can select courses offered by other departments within the University of Haifa. The English Language and Literature Department as well as the Fine Arts Department are options for students who are not proficient in Hebrew but wish to take courses outside the International School. It should be noted that the University of Haifa and International School calendars differ. Students who take courses outside the International School should be prepared for a longer semester. Pre-semester Intensive Hebrew Ulpan or Intensive Arabic (5 credits), and 12 or 13 credits during the regular semester. Additionally, students will receive 0.5 Pitzer course credits for the writing course via Sakai. (See above under Required Courses.) In total, students should end up with 4.75 or 5.00 course credits. There are two types of dormitory accommodations available to international students: modest apartments of three double rooms and a shared bathroom, kitchen, and living space or apartments of six single rooms, each room with its own bathroom, and a shared kitchen and living space. All international students will be sharing their suite with Israeli students, a diverse population of Hebrew, Arabic, English, Russian, and Spanish speakers. There is no meal plan. Students receive a stipend to prepare meals in their suites.